Leverage your business with Microsoft Teams, the hub that brings everything together in a shared workspace. You can easily get your team on the same page with group chats, online meetings, calling, web conferencing, shared files and business apps. Collaborate with end-to-end security, administrative control, and compliance, all powered by Office 365. CCG Telecom has been helping enterprises of all sizes transition to Voice over IP for more than a decade. Since our inception in 2004, our focus on VoIP services extends from standard SIP enablement to Microsoft Teams deployments supplying communications and collaboration to global enterprise networks. Unified Communications is the new phase in the VoIP transition. CCG Telecom has embraced Microsoft’s vision of enablement in the enterprise. Our involvement ranges from full deployment to ancillary support services that help maintain voice services during and after the transition. Connected? You bet we are. Receive the latest news from CCG. CCG Telecom is in the business of supporting enterprise in achieving business objectives through effective leveraging of IT infrastructure with Voice over IP (VoIP). We create value through the implementation of core VoIP technologies, reducing cost and improving productivity enterprise-wide. This technology enablement resonates from the desktop to the cloud, providing real solutions that work. The transition to unified communications (UC) can be complex, and having the right partner makes all the difference. At CCG Telecom, our primary focus is on VoIP and the eco-system of ancillary products that unified communications brings to the enterprise. Microsoft Teams is a first step into the UC arena. Its adoption requires support through planning, security and implementation phases. The overall Microsoft Teams architecture will weave itself into the fabric of your enterprise at every level as the transition takes hold. Contact CCG Telecom today to discuss your options for End to End Skype for Business/Microsoft Teams Support that includes a complete package of deployment services, support, planned configuration changes, periodic service reviews and much more! Best of all, the cost can be billed quarterly at a price point you will not believe! Ready to speak with a communications expert? Our professional services team is involved in every facet of planning and support. We are your on-call technical resource, and will be available before, during and after your project implementation. A major part of the implementation process is documenting the details of how it will all work. We take care of all the documentation so that you don’t have to, significantly reducing the time to resolution should anything go wrong. A major portion of any implementation is knowledge transfer. CCG Telecom works directly with your staff during each engagement. New technologies take time to infiltrate the enterprise, and we are here to help pick up the pace as needed. Many of our clients often return as new projects come up to help lighten the load on the core staff. We can assure you that we are in this for the long haul: consider CCG your telecom partners for life. The transition to VoIP will often expose unknown issues within the enterprise network. Our SBC/Gateway monitoring service benefits this implementation by providing insight as to call quality, routing issues, call setup failures and more. Monthly reports can be established for your review to ensure service levels are being met. Our professional services team is here to help, enabling your infrastructure for your future communications. If you have an existing Microsoft Teams environment or are considering an upgrade to a hybrid deployment, explore the options Microsoft Teams offers for your enterprise. Secure your VoIP deployment with a layered approach using Session Border Controllers and GEO IP filtering. This duo effectively hides your VoIP infrastructure and eliminates unwanted network traffic from the global internet, right down to the port level in both directions. Sometimes all you need is a single, all-in-one solution. 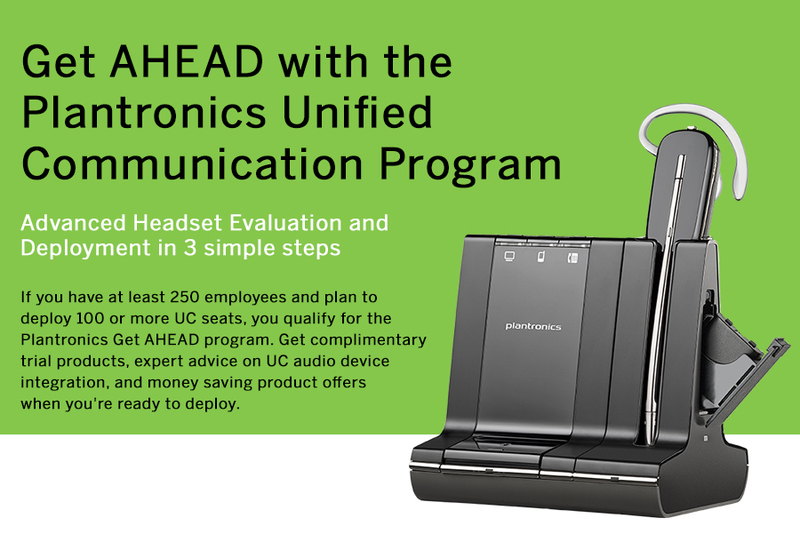 Joining the unified communications evolution is as easy as calling CCG Telecom. VoIP has a unique way of prioritizing good networks over bad networks. 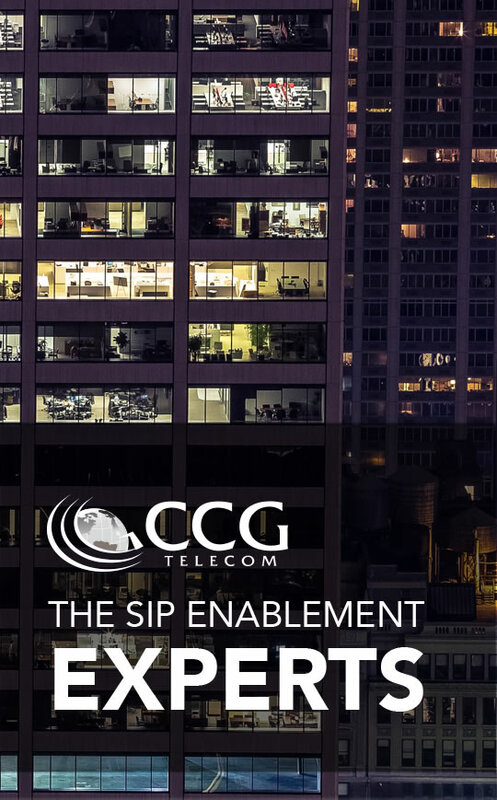 As your SIP Enablement Company, CCG Telecom will help make your transition a whole lot easier. Transitioning to VoIP does not mean that you have to abandon your legacy application processes. 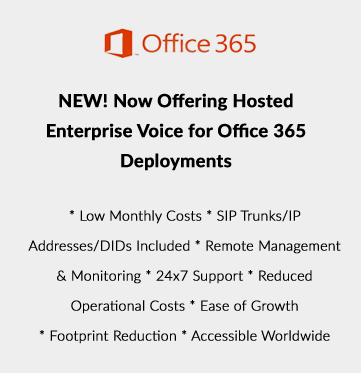 Voice recording systems for customer service, compliance and support applications can be enabled for Microsoft Teams and traditional SIP trunks. Stay connected in more ways than you ever thought were possible with CCG Telecom! CCG Telecom can plan and design a complete solution that will allow your company to succeed in today’s fast paced, high tech, and highly connected world. Let Team CCG take your enterprise business to the next level! AudioCodes Session Experience Manager (SEM) is an intelligent analysis tool that quickly isolates and remediates real time problems over a VoIP eco system, comprised of Microsoft Teams and AudioCodes One Voice integrated solution. Our products and partners are leading the industry in communications technology. AudioCodes is a market leader with over 17 years of product development experience, focused on VoIP network products and technology. During this time, AudioCodes has deployed tens of millions of media gateway and media server channels in over 100 countries. AudioCodes is a VoIP technology leader focused on voice quality and best-of-breed VoIP network elements with a proven track record in product and network interoperability with industry leaders in the Service Provider and Enterprise space. 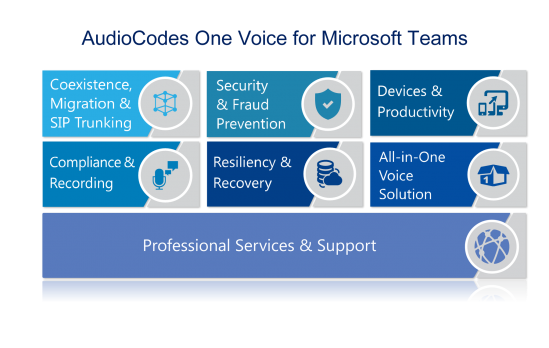 AudioCodes is a Microsoft Gold Partner. CCG Telecom is an AudioCodes Elite Channel/Systems Integration Partner. Dialogic, the Network Fuel™ company, inspires the world’s leading service providers and application developers to elevate the performance of media-rich communications across the most advanced networks. We boost the reliability of any-to-any network connections, supercharge the impact of applications and amplify the capacity of congested networks. Forty-eight of the world’s top 50 mobile operators and nearly 3,000 application developers rely on Dialogic to redefine the possible and exceed user expectations. High performance networks and applications demand Network Fuel. CCG Telecom is a Certified Dialogic Partner. Jabra is a global producer of innovative headset and speakerphone solutions. We enable effortless communication for mobile users, office-based and contact center employees in all parts of the world. At Jabra, we are fortunate enough to be able to build on the legacy of our parent company, GN Store Nord. With over 140 years of experience in designing state-of-the-art communications solutions, GN Store Nord gives us an outstanding foundation of technical expertise, upon which we can build the Jabra name. Our responsibility is to provide products of exceptional quality that simply work, in any technological environment and with any way of working. We realize that our products are not used in isolation, which is why our strategic alliances are so vital to our business. By working in partnership with the leaders of the telecommunications industry, we ensure that our products are relevant to our customers’ business. We ensure that they actually improve their way of working, by enabling seamless connectivity with their other systems. Stay connected in more ways than you ever thought were possible with Microsoft and CCG Telecom! CCG Telecom can plan and design a complete Microsoft solution that will allow your company to succeed in today’s fast paced, high tech, and highly connected world. Now offering services for Microsoft Office 365. Mitel powers more than 2 billion connections a day. We provide phone systems, collaboration and contact center solutions—in the cloud or on site—for more than 60 million users around the world. 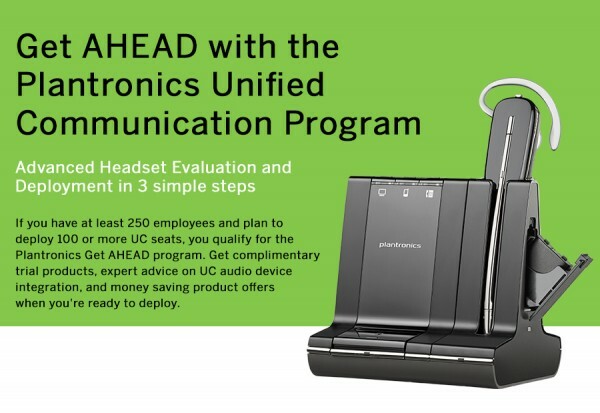 CCG Telecom is a Certified Partner of Plantronics. The industry leader in unified collaboration solutions. People are comfortable using Microsoft solutions to communicate—at work and at home. Polycom solutions enable anyone operating in a Microsoft environment to make enterprise-grade HD voice and video calls and to share HD content?at the touch of a button. Many other communication platforms are bolted together over time. Interoperability is in Polycom’s DNA. 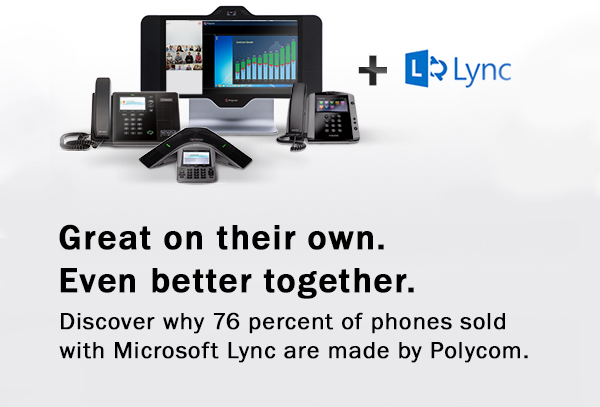 Polycom builds its solutions from the ground up and optimizes them for Microsoft Lync. With Polycom, your business connects in a complete solution that spans voice, video, instant messaging, content sharing, and presence. CCG Telecom is a Certified Partner of Polycom. For more than 65 years our name has stood for top-quality products, true sound and tailor-made solutions for every aspect of recording, transmission and reproduction of sound. We want people to not only hear all aspects of sound, but also to feel it, too. With German engineering, decades of experience in professional business, and innovative science, we stay true to the sound and set new standards for headphones, headsets, microphones, and integrated systems. Sonus is a leader in IP networking with proven expertise in delivering secure,reliable and scalable next-generation infrastructure and subscriber solutions. With customers in over 50 countries across the globe and over a decade of experience in transforming networks to IP, Sonus has enabled service providers and enterprises to capture and retain users and generate significant ROI. Sonus products include session border controllers, policy/routing servers, subscriber feature servers and media and signaling gateways. 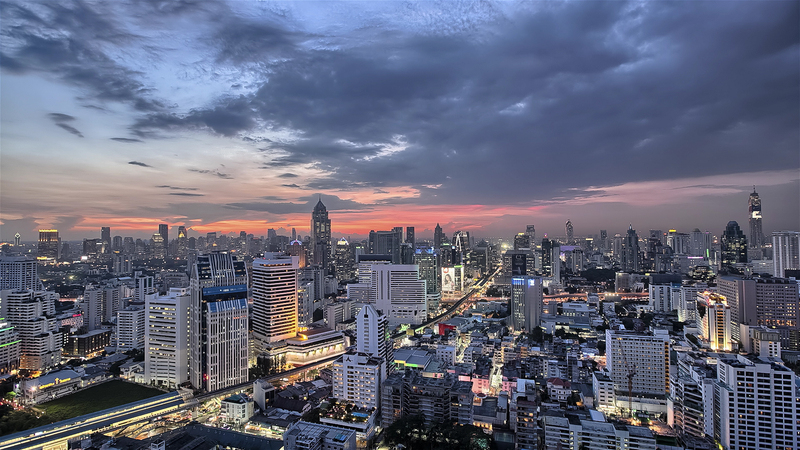 Sonus products are supported by a global services team with experience in design, deployment and maintenance of some of the world’s largest and most complex IP networks. CCG Telecom is a Certified Partner of Sonus. With over 30,000 worldwide deployments and offices in America, Europe, Asia and South America, KEMP Technologies is the industry leader in advanced Layer 2 – 7 Application Delivery Controllers (ADC) and application-centric load balancing. Since 2000, KEMP has been a consistent leader in innovation with a number of industry firsts, including high performance ADC appliance virtualization, application-centric SDN and NFV integration, innovative pricing and licensing models and true platform ubiquity that can scale to support enterprises of every size and workload requirement. KEMP Technologies LoadMaster Load Balancers provide companies of all sizes with a best in class mix of Enterprise Class performance, great price points and superior technical support. For High Availability, Traffic Optimization and Scalability of mission critical applications KEMP is the #1 Price/Performance Load Balancer. 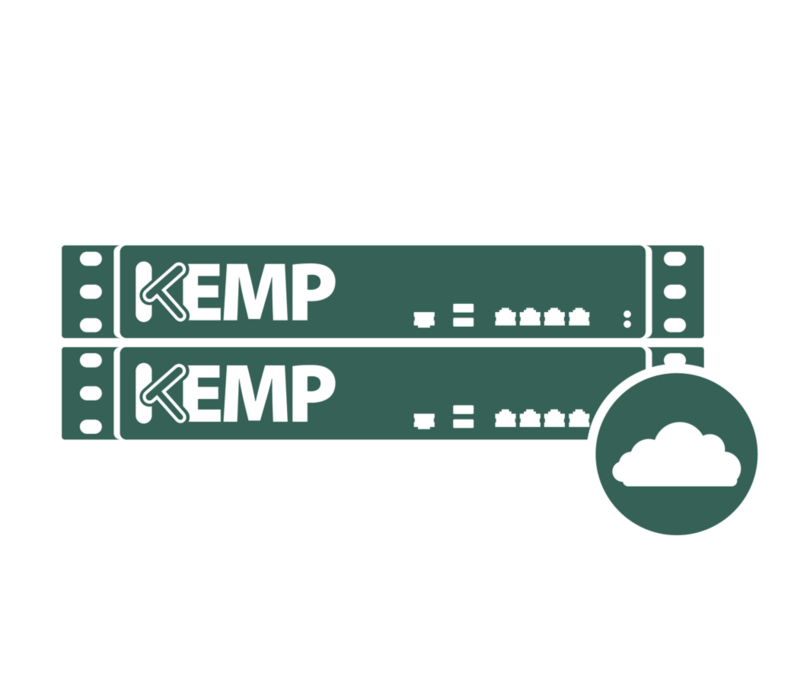 KEMP’s Server Load Balancers are approved by Microsoft for use with MS Exchange & Lync. Virtual Load Balancer Appliances run on VMware and Hyper-v and can be used for load balancing any kind of server/application. PacketViper is a patented Next Generation Geo-IP software solution that filters countries or companies bi-directionally, by port with a few clicks of a mouse. Our technology scrubs out unwanted global network traffic before it enters the security environment. PacketViper quickly inserts itself by moving two cables, without disrupting your current environment. Serving a significantly different purpose within the security layer, PacketViper complements your firewall by limiting who has access to the exposed network ports. PacketViper surgically removes unwanted traffic entering your security environment, which in turn removes the volume, and ultimately reduces the load, threats, and personnel burdens associated with security. As PacketViper reduces the load through the security environment, it also lowers the amount of processing to usage based services such as firewalls and cloud logging. Phybridge is the leader in PoLRE (Power Over Long Reach Ethernet) switch technology. Phybridge was the first company to introduce switch technology that delivers Ethernet and PoE over a single pair of wire with four times the reach of traditional switches. Phybridge long reach Ethernet switches are the standard against which others are measured. The award-winning UniPhyer and PoLRE switches leverage a single pair of UTP cable and the CLEER and EC switch leverages coax cable to deliver PoLRE technology. The Phybridge switch innovations allow businesses to optimize the LAN for convergence delivering quality of service, voice continuity, the most secure converged platform and a simple network to manage. This is achieved by moving the LAN convergence point from every desktop to a single point in the central closet. Future-proofing the LAN; no need to change IP phone or PoE every time you upgrade your LAN to support greater speed requirements. With other data switches in the market, the IP phone acts as a switch for the data device and you will need to replace the IP phone and the POE with every upgrade. Enghouse Interactive is a leading expert in customer communications. Whether you need to provide a personalized, informed service through a specialized operator center or a multi-channel, multi-site contact center, we have the knowledge, the products, the partners and the deployment expertise to deliver the right solution to meet all your requirements – now, and in the future. Our solutions scale from a single site call reception console, to multi-tenanted, multi-media contact centers with more than 10,000 users. We also support the full range of deployment methods; from premise-based to private, public or community cloud and even hybrid requirements. Event Zero provides a suite of tools for Lync and users, known as the Dossier Toolset that covers all aspects of operational reporting and analytics. Available as a bundle or as individual products, the Dossier Toolset provides organization-wide visibility, delivering valuable insights that help improve operational efficiency. Customers can access analytics and reports for hundreds of thousands, even millions, of voice, video, conference calls, and IMs per day, all from a single unified view. With zero downtime and a fast setup that takes minutes, Event Zero makes it easy to get the most out of your investment. Using a visually striking, consistent and easy-to-navigate web-based UI, UC Commander gives administrators unparalleled control and insight into their environment. Video conferencing systems include solutions for the office, industry settings, and Microsoft Teams. For video communications, Yealink offers large group, SME, and industry solutions, as well. The company’s quality UC terminal solutions enhance the work efficiency and competitive advantages of its customers in over one hundred countries. Yealink is the world’s second-largest SIP phone provider and is number one in the China market. CCG Telecom is proud to offer a range of Yealink solutions. Getting a quote is easy, and it all starts with a phone call or email. Use the contact form provided or give us a call and speak directly with a communications expert. A real person will always answer your call.